It began in Sarajevo in 1914, in a cascade of treaty obligations following an assassination. It ended in the mirrored halls of Versailles in 1918, in a treaty that would lead directly to an even more catastrophic war. The Great War–World War I–slaughtered millions, left a continent in ruins, and caused many a military leader to reassess what he thought he knew about war. How would you have fought it? The SOTCW World War I Compendium provides wargamers with a wealth of resources. Included are scenarios, Orders of Battle, histories, and more. This compendium brings together over 25 articles by 18 authors, covering all aspects of World War I, on land, at sea, and in the air, in all theatres. The articles were originally published in the Society of Twentieth Century Wargamers’ Journal. 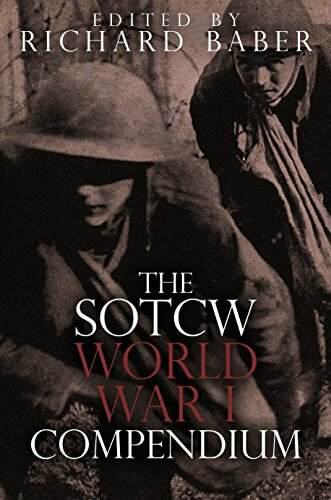 All profits from The SOTCW World War I Compendium will be donated to the Royal British Legion.